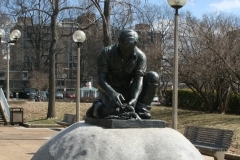 A bronze statue of a Maine lobsterman is located on Maine Avenue in Southwest on the Potomac waterfront in Washington. This statue is a gift from Maine. In 1939 Victor B. Kahill, a Lebanese immigrant, completed the model of a life-size figure representing a Maine lobsterman which occupied a prominent place in the Maine section of the Hall of States at the World’s Fair in New York City. 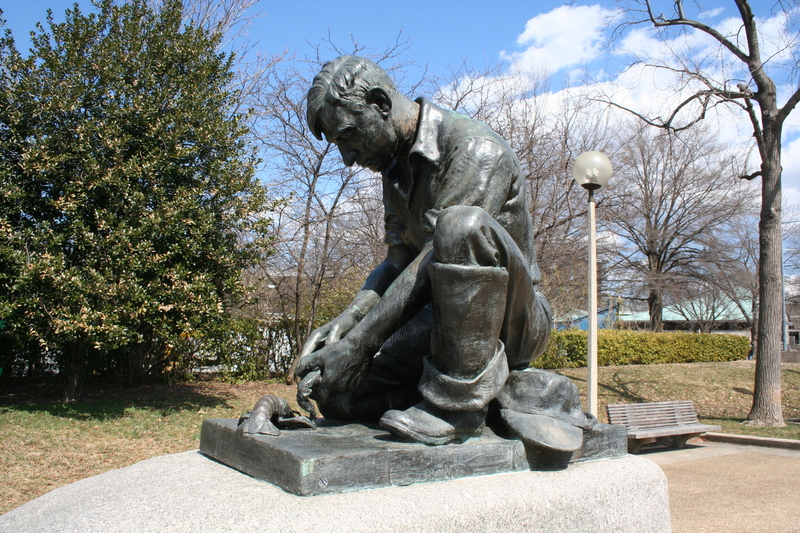 The state couldn’t afford a bronze statue so Kahill painted his plaster model a bronze color. The state later cast three bronze replicas of the statue. 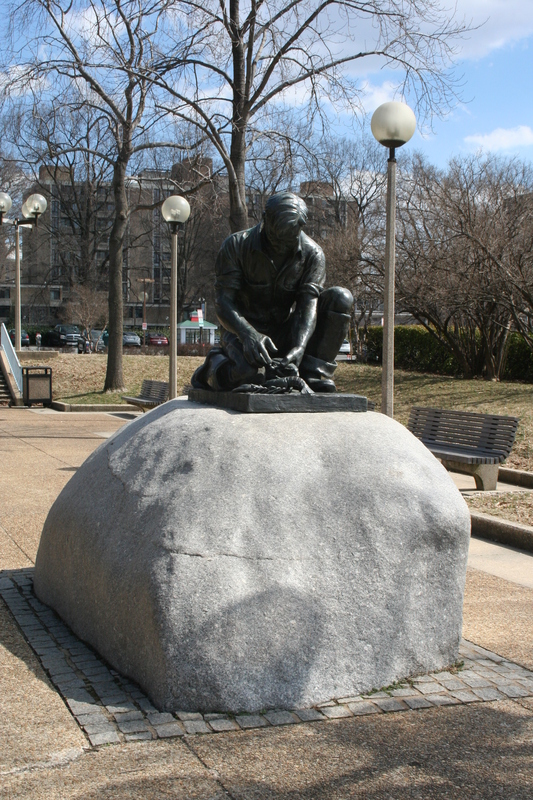 The first was placed in Portland’s Canal Plaza, the second was paid for by residents of Johnson’s hometown raised and placed there, and the third casting is the statue in Washington, D.C.
After the fair closed the statue was moved to city hall in Portland, Maine. However, it was soon moved again to the basement of City Hall to protect it from vandals. In 1958, it was repaired and put on display at Maine’s Department of Sea and Shore Fisheries’ Marine Museum and Aquarium at Boothbay Harbor. Victor Kahill, and his older brother Joseph, were born in Beirut, Lebanon. 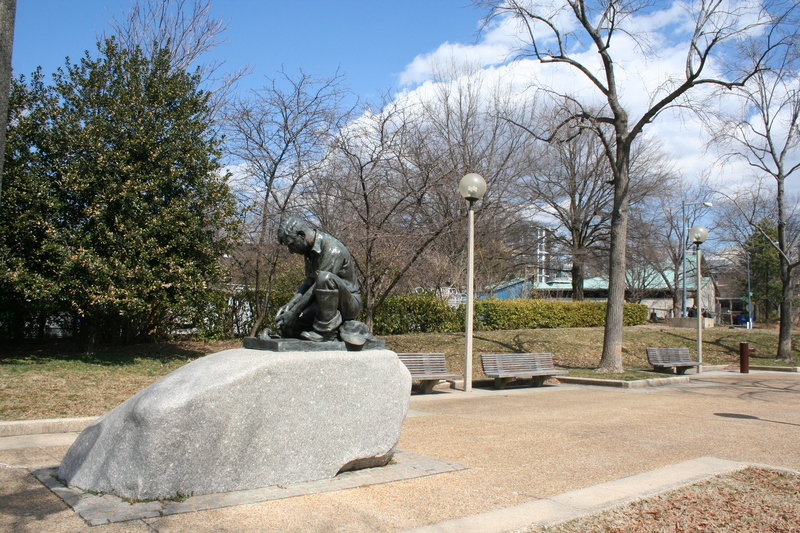 Victor became a sculptor and came to America in 1909. He studied art, and fought for the United States in World War I. Victor was able to bring his brother to America with money he made as an artist. Victor died in San Francisco in 1965. The artist, at his death, bequeathed the statue to Maine’s Department of Sea and Shore Fisheries. 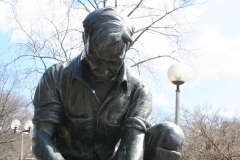 The model for the statue was Elroy Johnson, a lobsterman born on Bailey’s Island in Harpswell, Maine, in 1894, and he died in September 1973. The statue is seven-feet high and placed on a pedestal of Maine granite. It depicts Johnson as a lobsterman, stooped and putting a peg into a lobster claw. Overall dimensions of the memorial would be approximately 10 feet wide by seven feet long and seven feet high. In 1979 then U.S. 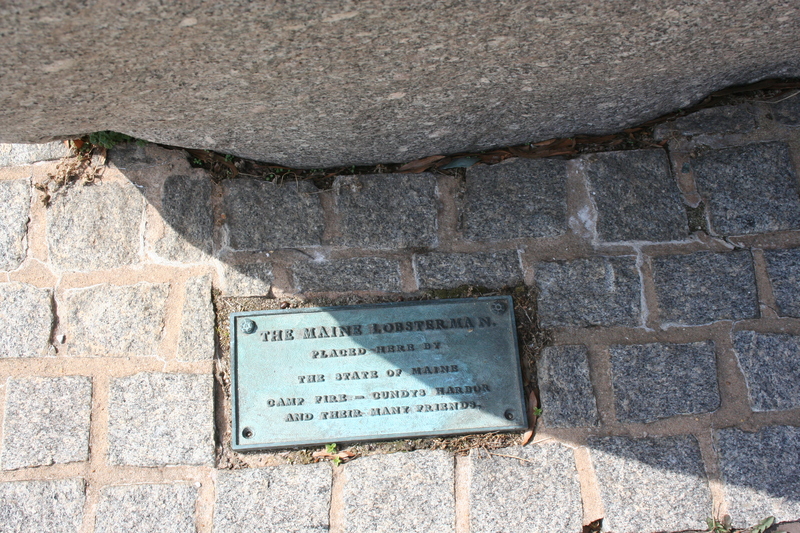 Senator (and later Secretary of State under Carter) Edmund Muskie of Maine, proposed placement of the “Maine Lobsterman” statue in Washington, D.C. On September 4, 1980 Congress passed the resolution (PL 96-337) permitting the Camp Fire Girls of Cundys Harbor, Maine, to erect “The Maine Lobsterman” memorial in the District of Columbia. The cost of the statue and its transportation were donated by the Camp Fire unit that had raised $30,000 for the memorial. NOTE: Currently the Southwest waterfront is undergoing extensive development. The development, called The Wharf, required the removal the “Maine Lobsterman.” However, according to Mike DeBonis of The Washington Post, Senator Collins of Maine, and Del Eleanor Holmes Norton of DC introduced legislation that protects the Lobsterman’s location along the Southwest waterfront. 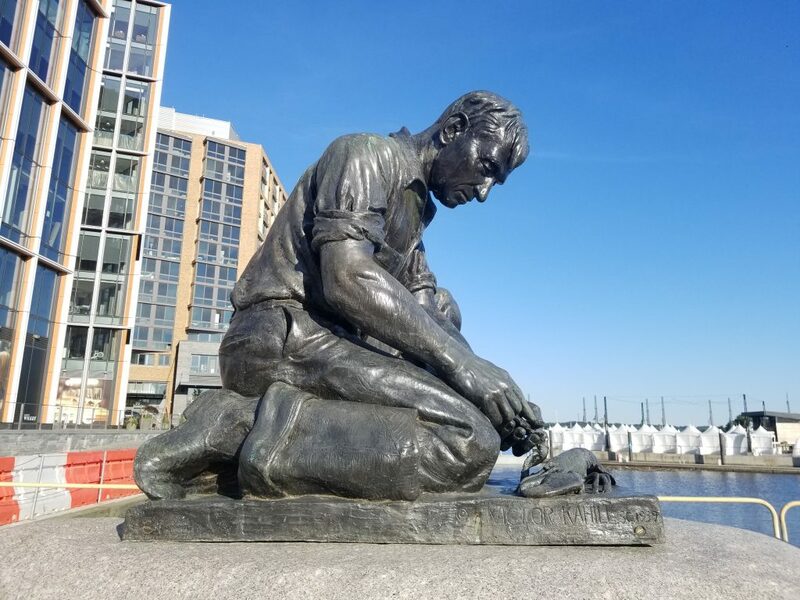 NOTE (June 15, 2018 update): The Lobsterman has been reinstalled at the Wharf in SW and moved closer to the Fish Market at beginning of Marketplace Pier. 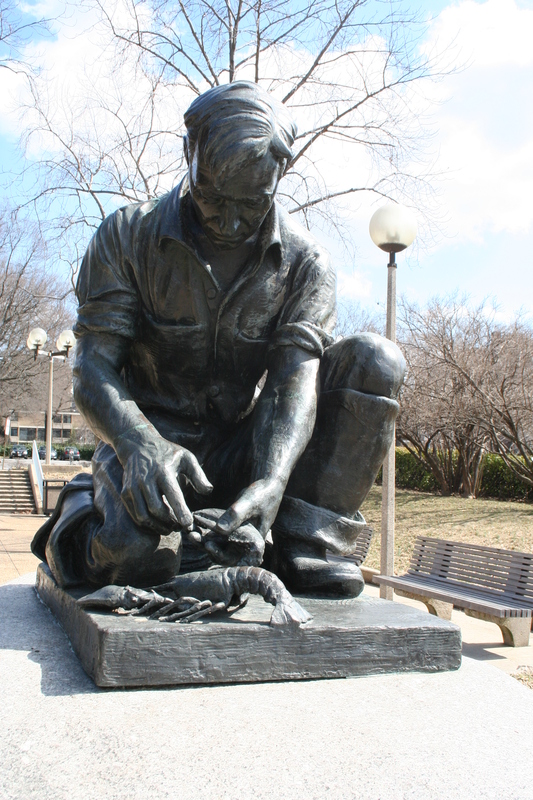 Lobsterman Is Eyed for Maine Avenue, By John R Wiggins. The Washington Post, Times Herald, June 11, 1967. 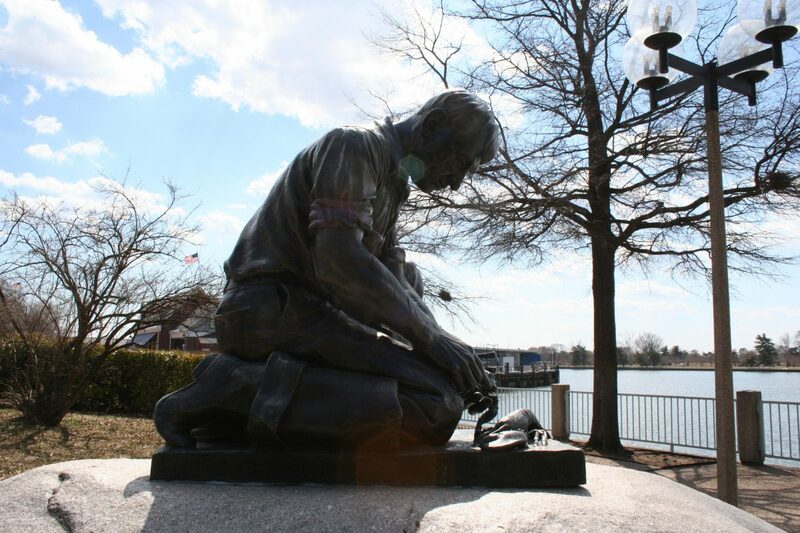 A New Statue: Lobsterman’ to be Erected on the Waterfront, by Paul Hodge, The Washington Post. Feb 5, 1981. Lobsterman Arrives in D.C., Eisen, Jack. The Washington Post, June 16, 1983. The Maine Lobsterman, Shawna Merserve. https://prezi.com/9hydb3tnlx9y/the-maine-lobsterman, June 3, 2013.